I’ve been very persistent in getting some projects finished over the last few weeks. There were ups and downs along the path to completion, and without focus they would have remained UFOs (unfinished objects) like so many others. 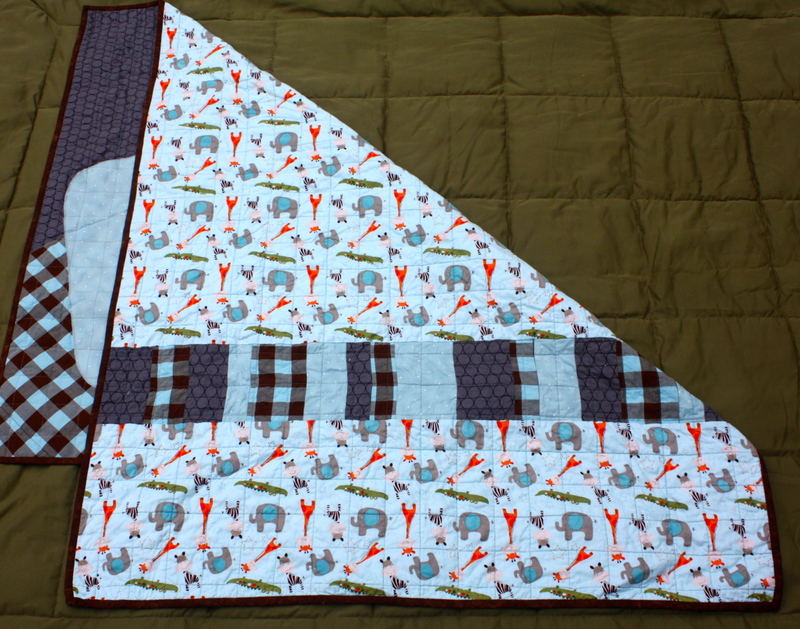 The quilt pictured here was made for a grandchild who turned one recently. His mother picked it out while she was pregnant, so it is not my original design. 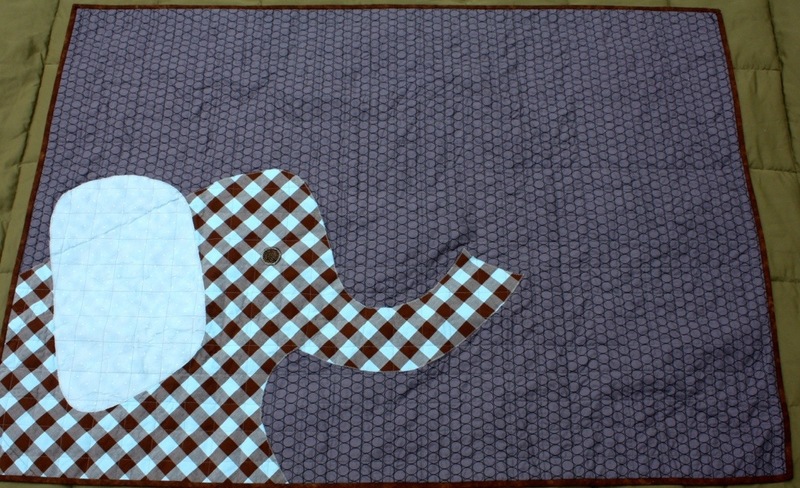 I struggled with stitching the giant appliquéd elephant. The fusing material that was used made the area stiff. Note to self: use a lighter weight fusible for bonding layers together. The other aspect that proved frustrating was that it kept gumming up on the needle and creating skipped stitches as I appliquéd and quilted through these layers. Ugh! I compensated by cleaning and replacing the needle often throughout the project. 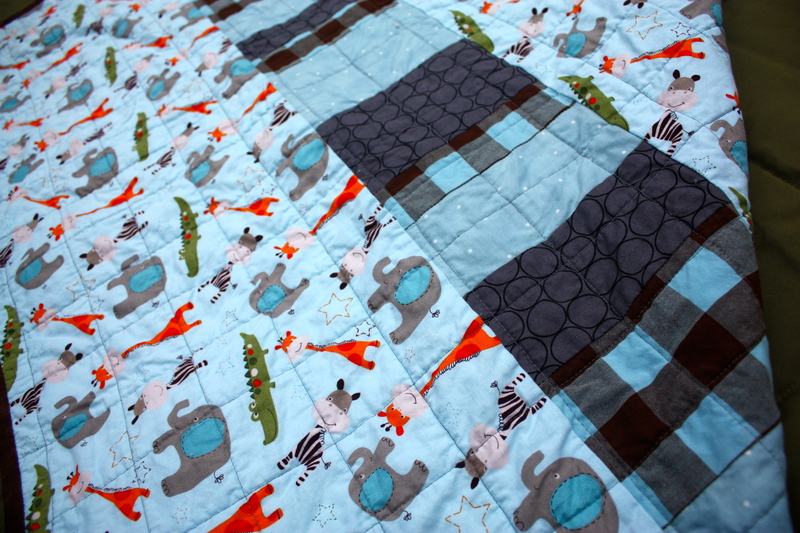 While this quilt encouraged me to be patient with the process, there was a great deal of satisfaction in its finishing. I enjoyed creating a pieced back to the quilt for added interest and watching it come together. The little one received his quilt late for his first birthday, but it was personalized just for him with love from his Oma. As you fashion your own heirlooms for family or friends, trust the process, your own creativity and problem solving skills to the end. Enjoy the gratification that comes from finishing your endeavors through to completion.